Description Commit a just retribution. Take control of the famous Ghost of Sparta - Kratos, who sows death and destruction, persecuting the gods who betrayed him. Armed with the deadly, bounded chain by the double blades of Kratos, deal with the most ferocious and dangerous mythical creatures and destroy all who stand on the way to your goal - the destruction of Olympus and the murder of the most powerful Zeus. The game takes place in the fantastic world of Greek mythology. 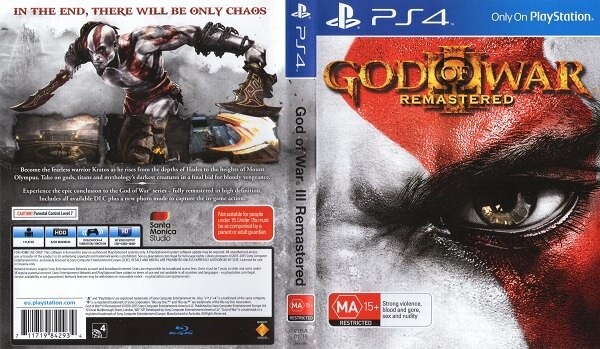 "God of War III Updated version" is a vivid revival of the famous adventure for the PS3 in the version for the PlayStation 4. Climb out of the gloomy depths of the kingdom of Aida and get to the top of Olympus with stunning graphics in 1080p resolution and a speed of 60 frames per second. has this been tested on a 4.05 or 4.55 ?